Oh no! The farm tractor is stuck in the snow! Can Dolly the cart horse get it moving again? 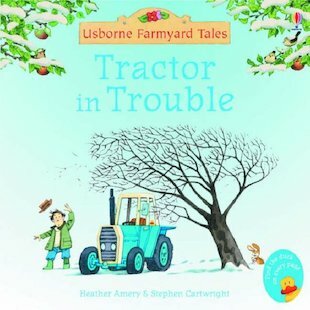 This boisterous winter tale from the favourite Farmyard Tales reading scheme features dual-level text that lets parents read the main story while youngsters chip in with simple words. Full of merry characters, it’s the perfect first story to share and enjoy together. One of my sons favourites from the tales, nice story and pictures.